The Centre is an international academy of scholars pioneering ethical perspectives on animals through academic research, teaching, and publication. It is the first Centre of its kind in the world and has already established a new book series on animal ethics (with Palgrave Macmillan) and is shortly to launch a new Journal of Animal Ethics with the University of Illinois Press. 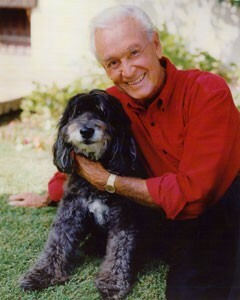 Bob Barker, of The Price is Right fame, has just donated $1 million to the University of Virginia to underwrite an Animal Law Program there. This is in addition to $1 million he has already given to Harvard, Duke, UCLA, Northwestern, Georgetown and Stanford respectively (rumor has it that Yale turned him down). While Barker may not necessarily be the first person to pop to mind as most likely to fund animal law studies, he has long been active in animal advocacy. Price is Right fans will remember his vocal opposition to fur and his advocacy of spay/neuter programs. It is a wonderful thing he’s doing. I hope he inspires others to get involved and that $$ continue to find their way to Animal Law Programs at other insitututions all across this great land.